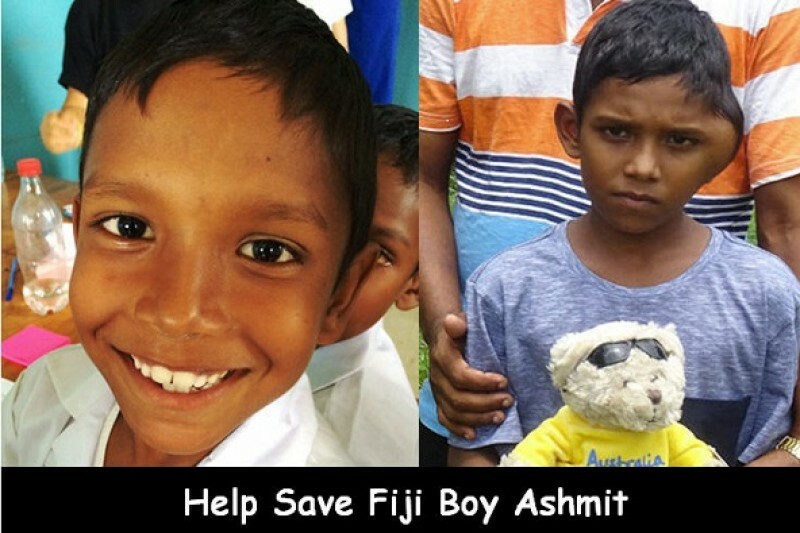 Ashmit is a 10 year old boy from a remote, rural area in Fiji’s Sigatoka Valley. Over the past three months a huge growth has appeared above his left ear, and tragically we have been advised that this is Angiosarcoma, an aggressive tumour. Doctors have told us there is no treatment available in Fiji for such a disease. There is nothing they can do. The tumour is growing at an extraordinary rate and the little boy is in the most terrible pain. The pressure on his brain puts him at risk of brain haemorrhage at any time. There are no medical facilities in the remote area where this family lives. The medical reports are difficult for this father to follow but he can see his son in terrible pain and understands this is a life and death situation. 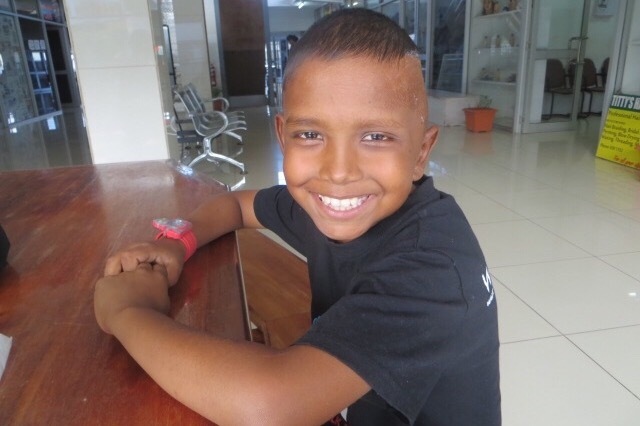 Ashmit’s only chance is emergency surgery, radiation and chemotherapy treatment. With no facilities in Fiji, we have managed to secure a neurosurgical team who are on standby in Australia. Ashmit would be treated as a full fee paying overseas patient, and we need $60,000 right now. Funds are the only thing standing in the way for this little boy, but time is not on our side. 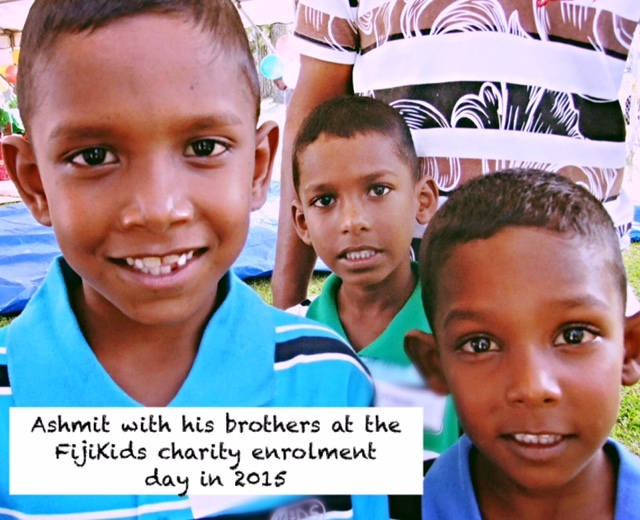 We met Ashmit when he was just 6 years old through our educational charity Fiji Kids! Learning for Life. Ashmit and his 2 younger brothers (Amish and Aarav) were referred to us by a school principal as his family were so poor they could not afford basic educational costs. Their Dad is a single father who picks vegetables for a living, earning a few dollars a day. 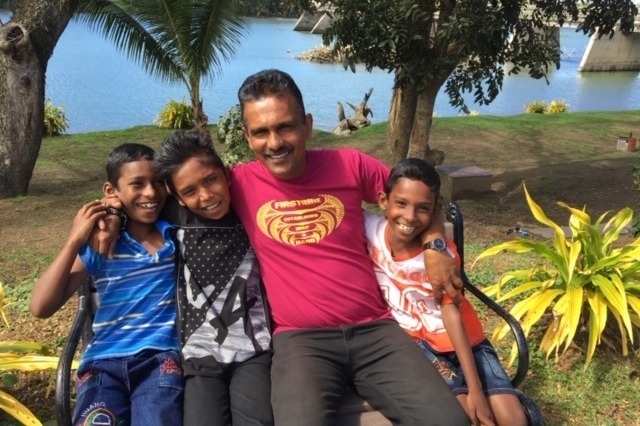 He combines hard labour with caring for three little boys – now aged 10, 9 and 7. We visited the family and found them living in an abandoned farm house. They had no furniture other than a bed they all shared. An elderly grandmother was bed-ridden in another dark room. There is no electricity and running water is limited to one tap. Despite their circumstances we were impressed by the hard work, love and dedication this father showed towards his family. 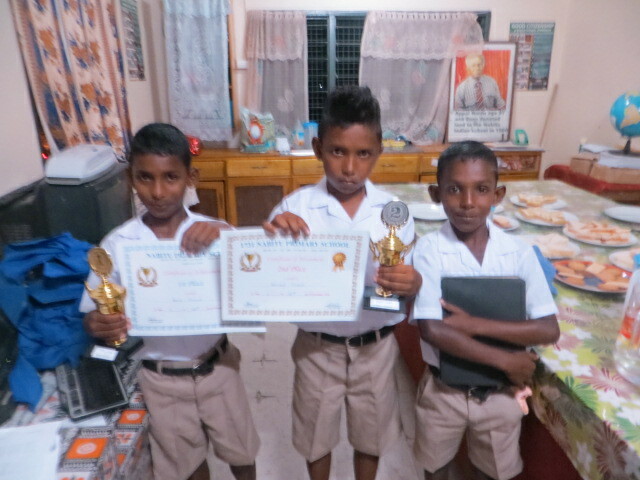 Now at school, all three boys are first in their class, with perfect attendance. They are described by their teachers as modest and delightful boys. They try hard in class and enjoy playing soccer after school. Angiosarcoma is an extremely rare cancer in children and even more rare in and around the brain. It is a cancer in the lining of the blood vessels. Ashmit’s tumour is very aggressive and growing incredibly fast, doubling in size in the last 6 weeks. It has encroached on his sinuses, causing tremendous pain. Last week he and his father made a trek to the nearest town, travelling 2 hours on the back of a carrier van to see a doctor for some stronger medicine for pain. It is the only treatment available. The neurosurgeon in Australia has recommended urgent action and is ready to admit Ashmit now. $60,000 will allow us to secure a medical emergency visa, and book Ashmit for emergency surgery in Australia. ($20,000 has already been pledged through charity Fiji Kids! Learning for Life and 2 donors). It is a lot of money ~ but not if 600 people felt moved to give this boy a chance at life – and had $100 to give. We have no more than 4 weeks to make a miracle happen. We are determined, hopeful and eternally grateful for your support. Fiji Kids! Learning for Life is a grassroots charity run by a group of volunteers in Australia. We provide financial assistance to help the neediest children attend school. Learning for Life refers to the commitment sponsors are asked to make in supporting a child for the duration of their primary and secondary education. Since 2009 we have assisted over 100 children to attend school and now have a number of graduates attending university and vocational studies through our teriarty program. 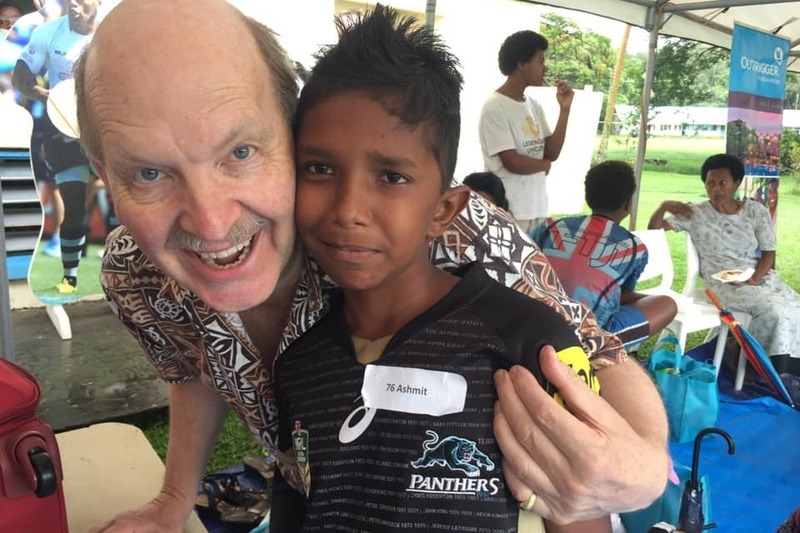 We are small, with only a program co-ordinator on the ground in Fiji and the rest of the charity operated by a group of volunteers in Australia and Fiji who fit our charity around their fulltime working lives. Despite this we have a big heart and are not shy to do what we need to do in the best interests of the children within our program. This includes Ashmit. If you require more information please contact me. We are a registered charity in Fiji - registration number 879. 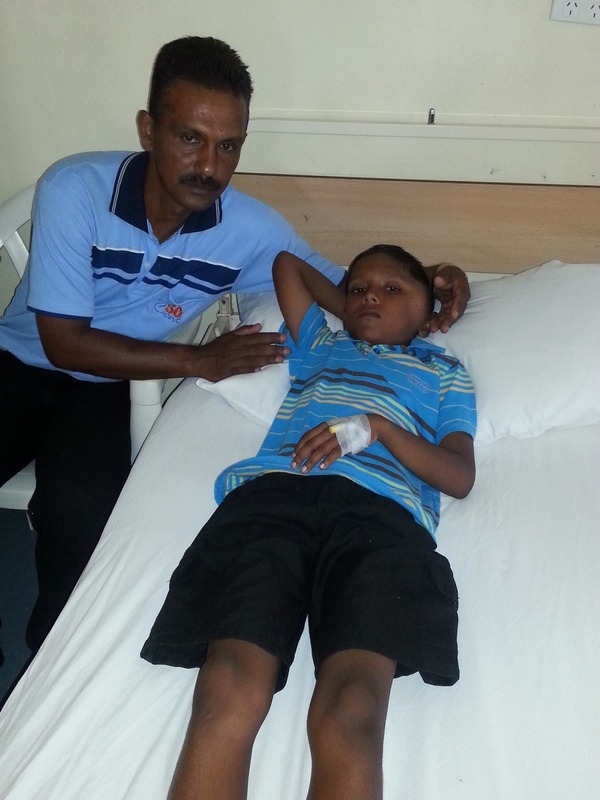 Ashmit recently returned to hospital in Fiji for a brain MRI. This is essential to monitor his condition after the surgery and radiation treatment he received in Australia. The results were reviewed by the doctors who care for him in Fiji and the Australian specialists. Both are amazed with his results and in their words he has had the ‘best possible outcome’ given the aggressive nature of Angiosarcoma. It is a complex disease and he will continue to be monitored. Your support has made these expensive procedures possible. Ashmit’s is father says seeing him start high school this year is a dream come true. When Ashmit got sick he thought there was no help or hope of a future. He wants to thank everyone who supported Ashmit to be well. Younger brothers, Aarav and Amish brothers continue to enjoy the time they spend with Ashmit competing for soccer supremacy in the front yard of their humble home. We will visit Ashmit at an upcoming trip to Fiji – more news and pics to follow! Vinaka vaka levu, dhanyavaad, thank you. Ashmit came to town last Saturday to collect his school supplies and visit Dr Sheen for a check up. It has been 3 years since his brain tumour surgery and radiation and it is wonderful to see him so happy, healthy and starting high school this year. Vinaka to everyone who helped us to help him. We visited Ashmit and his family recently. It’s now 2 1/2 years since surgery and treatment and it was incredible to see how well he is doing and how happy he is being back at school as class prefect, helping his father on the farm and playing soccer with his younger brothers. Ashmit’s father once again sent his thanks to everyone that donated and helped to provide Ashmit the surgery and care he needed. He told me that he remembers feeling that all hope was gone and when so many strangers helped him he thought God had sent him angels. So now he prays every day for the good health of everyone who helped Ashmit. It is true, you all made the difference and have given Ashmit the life he enjoys today. From all of us ‘Vinaka Vaka levu’ (thank you very much) for all the support. We continue to facilitate the check ups for Ashmit and will keep you up to date with his progress. We are pleased to let you know that Ashmit is feeling well and returned to school last week. He is a bright little boy who has always enjoyed school and done well so only attending 6 weeks of term 2 this year was tough on him. It was lovely to see him at the recent school awards night with younger brothers Aarav and Amish where he received an academic award for 1st place in term 2. We are proud of this tough little guy who continues to try his best and do well regardless of his circumstances. Let's all be quick and meet the target please. Time is precious. Also admin, please ask Ministry of Health (FJ) and UNICEF to help. If an emergency letter to Australian PM is written I am sure he will atleast waive the international treatment fees. In the lets continue to keep our pledge rolling. Vinaka. Can we all help this little boy. Any help will be kindly appreciated. Rachna Ram-Singh - Yes, we have the neurosurgeon as well as other specialists in Fiji involved. Hi there. Which hospital did you go to? Have you consulted the local neuro surgeon and plastic surgeon?